Ultra-high performance (UHP) tires have one main function: to enhance high performance driving. UHPs can dramatically transform your car’s performance attributes, significantly influencing vehicle capability and delivering a sporty, responsive drive with exceptional grip. 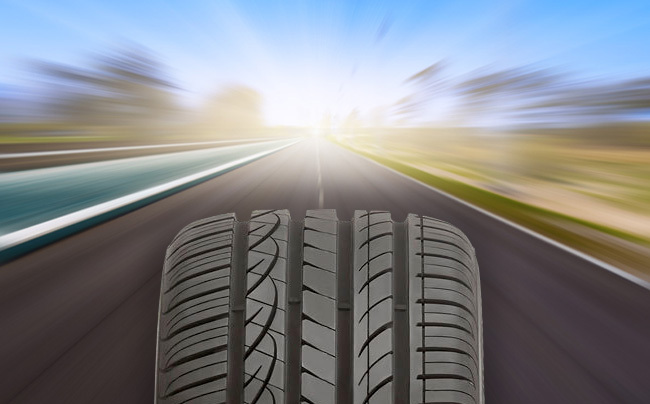 UHP tires are specifically made for cars with extra horsepower and drivers who want to “feel the road.” Unfortunately, that also includes sensing every bump. But that’s the trade-off. If you want a sportier ride, you get a bumpier and noisier than average road experience. There are other sacrifices to be made. UHP tires aren’t exceptionally long-wearing and they’re not exactly inexpensive. But when it comes to maximum level of street performance, a UHP tire can’t be beat. Don’t confuse a UHP tire with a touring tire (also known as a grand touring tire) which is more focused on delivering comfort and reliable all-season traction, along with more responsive handling. Touring tires usually offer a longer life but they don’t measure up to the high level of performance of a UHP. On the other hand, they’ll definitely give you a quieter, smoother, more comfortable ride. It wasn’t very long ago the idea of fitting All Season tires to a legitimate sports car or performance sedan was considered misguided. The thinking was: Why drive a performance car if you’re going to “sacrifice” on tires, which are such a crucial component of the overall performance equation? Vehicle engineers and test drivers spend countless hours on performance vehicle chassis development, damper tuning, and handling characteristics with a certain type of performance tire fitted. Why would an enthusiast driver choose to disrupt that optimization? Times have changed. These days, the UHP All Season category offers a variety of tires that complement performance vehicle dynamics, and meet enthusiast driver expectations. These tires are ideal for northern area drivers who prefer the convenience of one set of tires for year-round use, and (smartly) don’t want to take chances with UHP Summer tires during seasons with fluctuating and near freezing temperatures. Modern UHP All Season tires deliver the same street driving feel and grip characteristics that will satisfy enthusiasts (effectively on par with many UHP Summer tires), and the broad traction window required in certain U.S. climates. The only limitation as compared to UHP Summer tires is at the extreme end of the performance spectrum, e.g. track days and performance driving events. Michelin’s Pilot Sport A/S 3 Plus is a model example of the modern UHP All Season tire. During development, Michelin benchmarked this tire against competing Max Performance Summer tires in dry test conditions. Out on the street, the A/S 3 Plus has even drawn comparisons to Michelin’s Pilot Super Sport, which is arguably one of the very best UHP Summer Performance tires available. Hankook’s Ventus S1 Noble2 is another quality UHP All Season option. This all-star was developed for sports car drivers who enjoy a spirited drive but appreciate a comfortable ride. Its features include an advanced aqua hydro block design to provide highly dependable wet braking. The new silica tread compound offers a lower rolling resistance for better fuel efficiency and wide steel belts deliver improved handling. Its optimized tread and sidewall stiffness provide great stability and feedback at high speeds. But the ace up the sleeve of the Ventus S1 Noble2 is driving comfort. This is one of the quietest UHP tires of any variety, and an excellent choice for drivers looking for a break from typical Ultra-High Performance tire noise characteristics. The Ventus S1 Noble2 has been an absolute gem for fall and early spring drives, and road trips through variable conditions. We’re big fans of the Cooper Zeon RS3-G1, the brand’s most advanced all-season UHP tire. It offers everything: all-season traction, thrilling performance and sleek good looks. You can count on exceptional grip and handling in all weather conditions, including light snow. It also features the safety-enhancing Wear Square visual tread wear indicator so you’ll know when you’re ready for a new set. For proven UHP All Season performance another good bet is the Continental ExtremeContact DWS06. As the successor to the tire that really set the UHP All Season category in motion (the ExtremeContact DWS), the DWS06 picks up where the original left off. More all season and wintertime performance, even better handling on dry and wet roads in warmer temps. It handles responsively and offers an incredibly smooth, quiet ride. Its Alignment Verification System alerts you to potentially misaligned wheels and Tuned Performance Indicators let you know how you’re performing in a variety of road conditions. 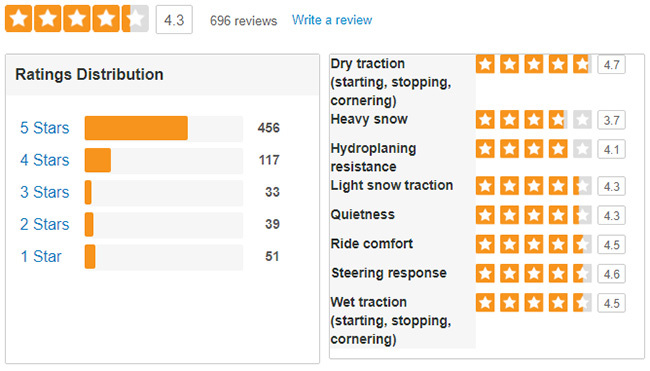 With almost 700 reviews posted to TireBuyer.com, and over 80% of them being 4 or 5 star, one could make the case for the DWS 06 being a top choice in the UHP All Season category. General’s G-MAX AS-05 is another recent entry to the category. Like the DWS 06, the G-MAX AS-05 utilizes the performance foundation of the previous generation (G-MAX AS-03) to create an improved, and very well-rounded UHP All Season tire. The ultra-high performance of the new G-MAX AS-05 features Smart Grip technology, a variable reaction to weather conditions for the best possible grip on both dry and wet roads, and even light snow. Smart Monitor indicators in the tread let you know when it’s time for a new set, or if the wheels are simply misaligned. Stabiltread Technology is another valuable feature that optimizes rubber-to-road contact for long, even wear and improved tread life. For enthusiast drivers in four season territory with summer-focused tires, there’s very little to gain on the street and lots to lose in terms of predictable grip and safety through changing temperatures tires. If you don’t care to leave your performance car parked when temperatures start to drop and conditions are variable, definitely give Ultra-High Performance All Season tires strong consideration.